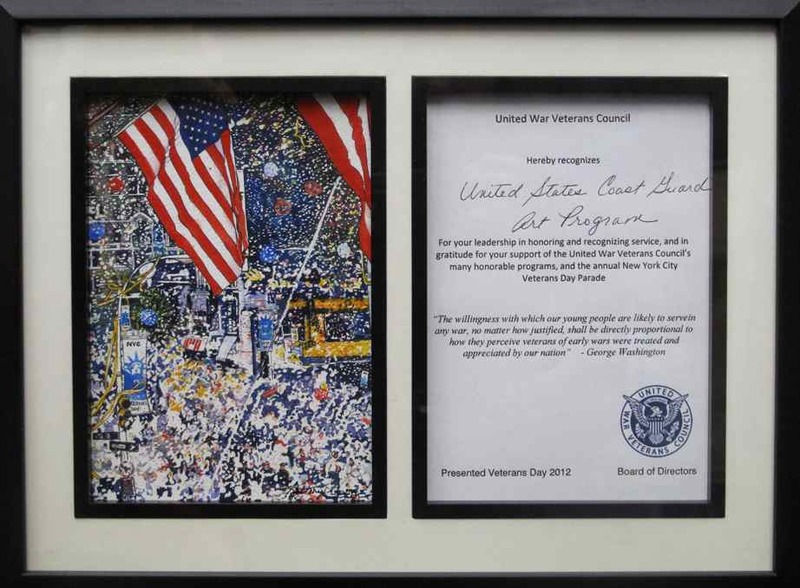 During an awards presentation at “Reflections, Festival of the Arts”, an exhibition hosted by the United War Veterans Council, New York City, COGAP received the UWVC Art Award, honoring individuals and organizations that have made a significant contribution to the heritage of patriotic art in America. 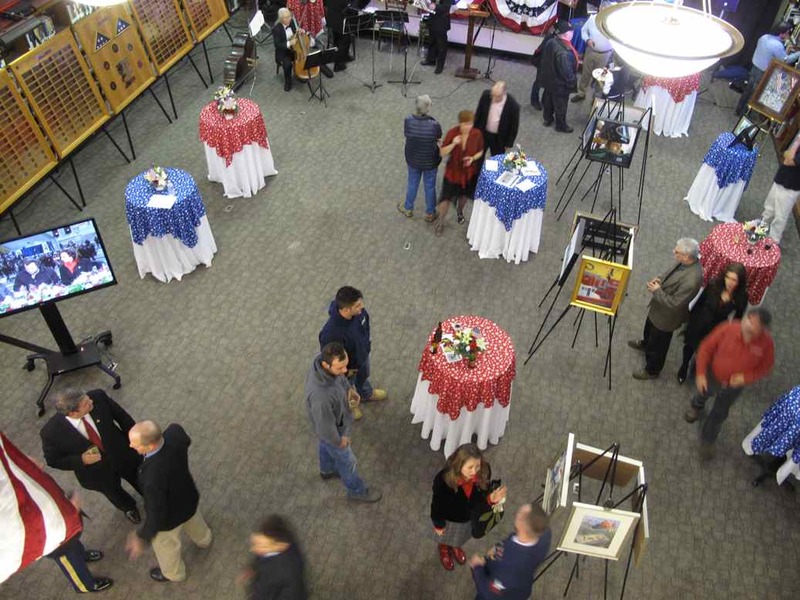 On Wednesday evening, November 7th, facing a second major storm very close on the heels of Superstorm Sandy and in the absence of several notable guests of honor, the awards reception nevertheless proceeded on schedule at the General Society of Mechanics & Tradesmen Library, 20 West 44th Street, New York City. 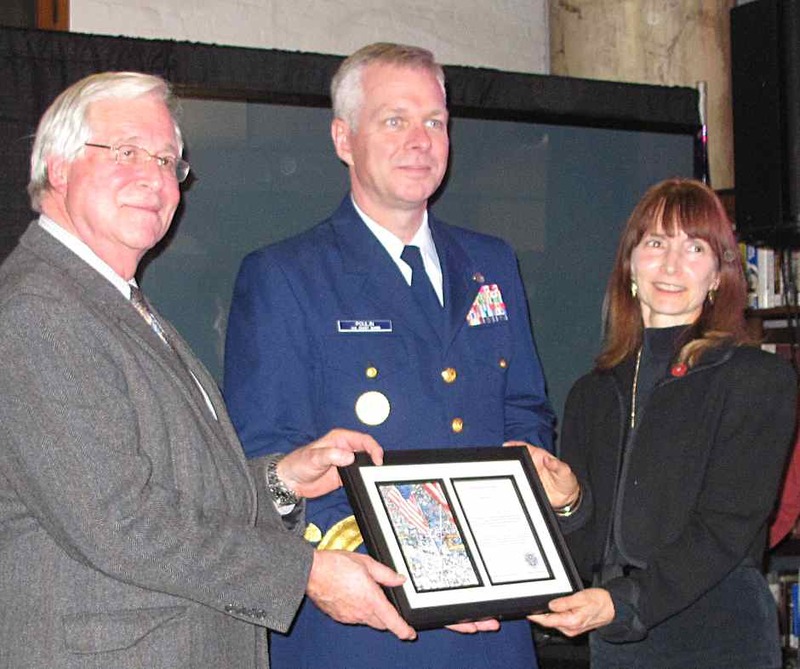 L-R: Harvey Bagg, Chairman of the United War Veterans Council, Rear Admiral Steven D. Poulin, Director of Governmental & Public Affairs, USCG and SCNY COGAP Chair Karen Loew.